Handmade real wood cabinet with colourful pastel paintwork. 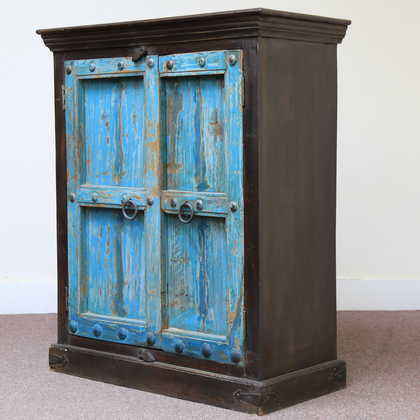 A tall colourful cabinet made from reclaimed wood and painted with distressed pastels. It has three shelves inside. It’s a gorgeous and functional Indian cabinet that’s the ideal place to tidy away your everyday essentials.